Dreams And Colour: Technically Beautiful: #Ontario #Ottawa & the Nation's Capital Region. I participated in Dreams and Colour's Blog Survey about my province for a series that showcases Canada. "Everyone knows how much I love Canada and for the longest time, I have wanted to showcase Canada on my blog. So, I've decided to ask..."
This is what I had to say about Ontario, Ottawa, and the Nation's Capital Region. 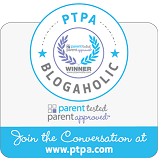 Be sure to read all the Blogger's responses and parts of Canada showcased! Yep, just me Cathy thinking out loud about Canada. 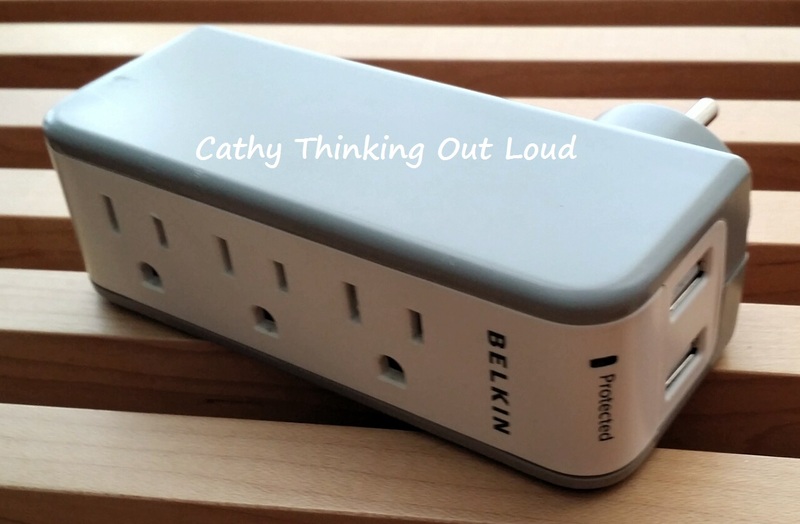 5 Reasons the Belkin SurgePlus USB Swivel Charger Makes Me Happy! We are a family of four, and we have charging needs! It has three AC outlets and BONUS! 2 USB ports. It swivels so it can be twisted to fit into spaces the way you want it to. It accommodates you rather than your furniture accommodating the charger(s). It is small and great when you travel. I never leave on a trip without at least one. Hotels NEVER have enough outlets and rarely have a USB charging port. We use it with an AC adapter in the car on the road to charge the PSVitas, IPods,etc. making for a happy quiet trip for the parents and kids. The price point is good. They sell in the $25-$30 range. Watch out for sales for an even cheaper price. Only after using this did I realize just how great this product is and how something as simple as a really good charger can make day to day life so much easier. So put the Belkin SurgePlus USB Swivel Charger on your wish list! Then lock it down because mine seem to go missing all the time! Yep, just me Cathy thinking out loud about SurgePlus. Note: I was not compensated for this post. The purpose of this posts was merely to share with my readers. All opinions are my own. Perspective: A Look Back at How "Normal" Changes. Perspective On Then and Now: How my "normal" has changed over time. I have two kids. Two boys 21 months apart in age, and when they were babies and toddlers my husband travelled for work, making my life busy! If you were to add together the days he was away it totalled about 3 months a year. Sometimes it was a day or two at a time, sometimes as much as 2 weeks. His travelling was our life, not an occasional thing, so as the one at home I needed to find ways to cope on my own. With no family in town to help out, (although both my parents and in-laws were great about coming to help if asked) it really was on me to manage day to day. It's amazing how fast this became our new normal. When your spouse travels, you get a schedule going and you stuck to it. In fact when my dear husband was home everything was much more chaotic because he would mess up "the schedule". I remember a time when he had a 16 hour stopover at home between getting off one flight and getting onto another. In this chaos that was our lives, I insisted that we always dropped him to and picked him up from the airport. It was very important to me that we say goodbye. He travelled before and after 911, in and out of the same airports the hijacked planes departed from. The truth is, it was important to me regardless of the mode of transportation he was using. I insisted he wake me up to say goodbye when he was driving to various destinations as well. Things happen, it's part of life and I wanted to say (and hear) I Love You and have him kiss his kids before he left. When my youngest was three he was asked "what does your Dad do?" his response was "he is a pilot" and given the number of trips we made to the airport I can understand the confusion. It got to the point that my husband would simply emailed me his itinerary so I know which city he was in and until when. My husband no longer travels for work and hasn't for many years. My kids are now teens, and he is home for dinner every night. This week my Hubby left on a work trip to Japan. He is not gone for a month. His is only gone for a week. My kids are teens and can dress themselves, and (on most days) much more independent than when they were toddlers. So what's the big deal? I don't know, but it does seem like a big deal, and it's stressing me out. I don't like it when my Hubby is away. When he informed me he needed to stay an additional week, I was not pleased (apparently I don't transition well). I know if he travelled all the time that would be my normal and I wouldn't feel so out of sorts. I mean it's not like we are attached at the hip or spend every moment together, nor do I actually need him here every minute (other than to help the kids with Math, and Science homework - Not my realm. I do English, History and glue stick). And, the technology now makes communication SO much easier with texting, Skype. So what I realised is; He is my anchor day to day. Yep, just Cathy Thinking Out Loud about then and now. I AM GOING TO BLISSDOM! MY FIRST BLOGGER CONFERENCE! I am very excited! Yes I am literally singing "I'm so excited and I just can't hide it" and releasing my inner Pointers Sisters. I'm going to Blissdom in October. With all this excitement I'm also nervous. I am a blogger newbie, technologically challenged, and have only met a few of the attendees in real life. I mean look at me! I still haven't figured out how to put my "I'm Attending Blissdom 2013" button on my blog yet. So much to do and so little time. October 3rd is fast approaching. I hope to make some notes during this exciting event and share them with you both during and after. Just me, Cathy thinking out loud again. The Many Sides of Me! I know it has been ages since I've posted anything to you dear Blog. It may appear I am ignoring you, but I am not. I am struggling with the many sides of me. There seems to be so many sides of me: The Mother, Wife, Daughter, Crafty Type, Pro Party Planner, Expert Lunch Maker, Used to be a Banker, with a Political Science Degree me. What type of relationship do I want with you Blog, and with social media? I am trying to define our relationship, while understanding it's a work in process, as am I. Do I want to enter contests? Because let's face it winning is fun. I love to retweet and share information that I think is of interest. This may be a news story, event, travel, parenting tips, a contest, the list goes on. So I share and retweet a lot. I participate in twitter chats and parties a lot. I know that this impacts my image and how people see me. I know some think I spend all day entering contests, but the truth is many chats have no prize. I rarely win anything over $50 in value, and I often share a contest for others to know about, but do not enter myself. I believe this untargeted sharing habit I have is bad for business, but good for my soul. Do I want to share my inner most feelings about life? No, I would like to share some of the insights and things I have learnt along the way. I definitely would like to share tips, ideas, info and products I have discovered. Do I want to try to be brand ambassador, and host give-aways? To be honest this scares me. How do you manage a review or post so you share all the important information, without it becoming a novel? These questions swirl around in my head day after day, and almost paralyse me from actually doing anything, or posting to you Blog. This post is the first step towards doing something. I am hoping my putting it to paper (virtual paper works too!) and thinking out loud I might find some clarity, and figure out how to manage the many sides of me.